In order to bring you the latest cancer-related health care policy and news, we at NCCS combined our ACA Updates and What Caught Our Eye (WCOE) content into a weekly email and blog post. We aim to make this a concise, one-stop summary of what you need to know as we continue working together to make cancer care better for everyone.Your feedback is always welcome to make our content more useful to you. Please send comments to feedback@canceradvocacy.org. Drug Pricing, Drug Pricing, and More Drug Pricing! This week, the House and Senate held several hearings related to health care, including a House Ways and Means Committee hearing titled “Protecting Americans with Pre-Existing Conditions.” The hearing illustrated the stark difference between the two parties’ health care goals. Members of Congress from both parties served notice on pharmaceutical companies on Tuesday that the days of unchecked drug-price increases were over and that they would be held politically accountable for exorbitant prices. The new reality became apparent at simultaneous but separate hearings of House and Senate committees where lawmakers said that the relentless increases were unsustainable and unacceptable. On Thursday, Health and Human Services (HHS) Secretary Alex Azar announced a policy proposal that would eliminate rebates from drug manufacturers to insurers and pharmacy benefit managers in the Medicare program, which the department claims would lower the out-of-pocket spending on prescription drugs at the pharmacy. Azar then called on Congress to pass the proposal into law banning rebates and extending it to the commercial market. Under draft rules, drug manufacturers would be allowed to offer rebates directly to consumers but would no longer be able to give rebates to pharmacy benefit managers. 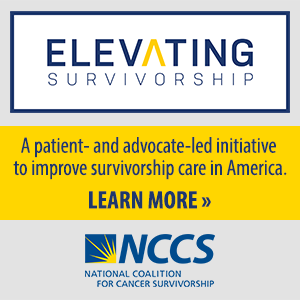 Stay tuned as NCCS analyzes this proposal and its potential impacts on cancer survivors. NCCS recently commented on another drug pricing proposal by HHS. This proposed rule would change Medicare Part D’s protected classes drug coverage. In response, NCCS joined with other patient and provider groups of the Cancer Leadership Council (CLC) to comment on how these proposed changes could impact patients. The proposed rule would give Medicare plans the option to limit coverage of drugs in six categories, including cancer drugs. In the comment letter, the groups urge HHS to reconsider these changes as they would create barriers to treatments that cancer patients need. One major reservation articulated in the letter concerned the impact of the broader use of prior authorization and step therapy for drugs in protected classes. Access to only one drug in a specific drug class would undermine the ability to receive appropriate and recommended treatment. 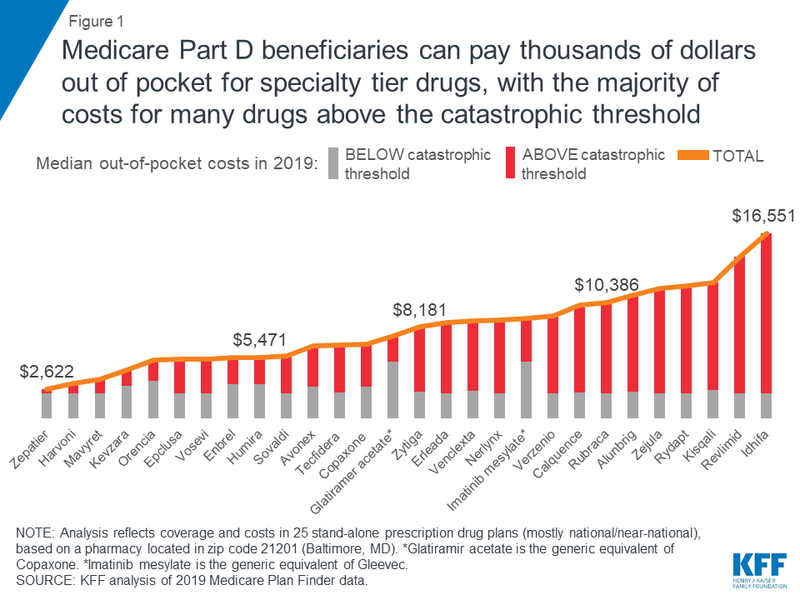 A recent analysis from Kaiser Family Foundation found that despite Medicare’s protections, Part D enrollees with serious health problems can face thousands of dollars in annual out-of-pocket spending. Clinical Trial Exclusions: Are Researchers Missing Out? Expanding access and increasing recruitment for clinical trials is an ongoing issue for NCCS. This article discusses the many challenges of recruiting patients to participate in clinical trials investigating immunotherapy drugs. At the end of the day, only about 4 percent of the adult population of patients is treated on clinical trials in the United States, as opposed to nearly 90-plus percent of children with cancer. Momentum is building for action to prevent patients from receiving massive unexpected medical bills, aided by President Trump, who is vowing to take on the issue. Calls for action against so-called "surprise" medical bills have been growing, spurred by viral stories like one involving a teacher in Texas last year who received a $108,000 bill from the hospital after his heart attack. The claim, absurd on its face, was particularly frustrating to those who work in medicine and drug development because it seemed so obvious there was not enough evidence to make it. A new study shows that consumers looking for health insurance online last fall — using search terms such as “Obamacare plans,” “ACA enroll” and “cheap health insurance” — were most often directed to websites that sell short-term limited duration health plans that don’t comply with the ACA’s consumer protections. Through rapid consolidation, five companies – Anthem, Cigna, CVS Health, Humana and UnitedHealth – will control insurance and pharmacy benefits for more than 125 million Americans.